Public Participation for Decision Makers. Bespoke courses in community engagement can be developed to meet the needs of your organisation and/or be tailored to assist the team to implement existing community engagement frameworks. Click here for costs and enrolment details. The course was developed by a team of practitioners from around the world. Upon completion of each module, participants receive a certificate from IAP2 International to recognise the completion of that module. Upon completion participants will be awarded the International Foundations in Public Participation, a qualification that will be globally recognised. This three-day program is the boot-camp course to put frameworks around everything that you need to know to plan and deliver effective engagement. Having been delivered in Australia and across the world for over 20 years the content of this course is the basis for the IAP2 frameworks that are currently used by many government authorities. The methods and tools presented are applied through the 3 days in a highly interactive experiential learning environment. Participants have the opportunity to explore their own public participation challenges using practical and real case studies. Participants will learn to set objectives, establish problem statements, deliver on promises to the public and determine the appropriate spectrum level of community engagement. The training also offers skills in the delivery of engagement programs including working with difficult stakeholders. Upon completion of the Planning Module you can move to this two-day module and be introduced to a range of practical tools and techniques used at all five levels of IAP2’s Public Participation Spectrum. Course participants have the opportunity to learn how and when to apply a range of tried and proven techniques and to be introduced to new and innovative techniques. World Café, Revolving Conversations, Deliberative Forums and Community Consultative Committees are amongst the techniques that are explored. The latest use of online techniques will be discussed using examples of applications by a range of organisations. Over 50 techniques are presented with examples of their application by practitioners around the globe. the principles, approaches and strategies for dealing with opposition and outrage in the context of engaging communities. reinforce how public participation can and should be integrated into the overall project plan. emphasise the importance of both the decision and the promise to the public about involvement in that decision. give an overview of what the decision maker needs to know about the role of the community engagement practitioner. Margaret is a Director of PlanCom Consulting. 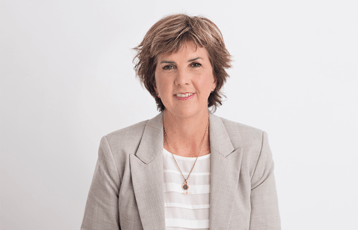 She brings to her training over 20 years of experience in community engagement throughout Australia and experience in Asia. Her areas of work are local and state government planning, water and waste water, transport (rail, road and ports), power (gas, wind and coal), mining, waste and community infrastructure. Prior to establishing PlanCom Consulting she managed teams of community engagement consultants in three major multi-disciplinary consulting firms. Her expertise is in the establishment and implementation of community engagement plans and systems. Margaret has undertaken projects and training in the USA, Singapore, New Zealand, Japan, New Guinea, China and Malaysia. She holds a Planning Degree from the University of South Australia. 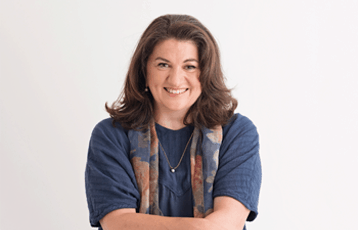 Tanya is a committed engagement practitioner and a Registered Planner with the Planning Institute of Australia (PIA). In addition to undertaking a PHD at university of Melbourne she is a trainer who is able to bring to the training, experiences and stories on best practice in planning, environmental assessment and public participation. Tanya has delivered IAP2 training to participants from over 230 organisations, and 34 countries and noteably has trained in UK, Ireland, Poland, Portugal, Ghana, South Africa, Yeman, Kazakhstan. Her participants have been from central government, state and regional government, local government, private sector, professional associations, education and non-government organisations. Dr Robert Nurick has worked in community development for the last 20 years. He was formerly Senior Lecturer at the Institute of Environmental Studies at the University of New South Wales, responsible for coordinating the Masters Programme in Environmental Management. Prior to this Robert set up a not-for- profit company in the United Kingdom, training professionals and community members in public participation. The focus of this work has been to advocate for the inclusion of under-represented individuals and groups within society, in decision-making processes that directly impact on their lives. Examples of this work cross many sectors, from environment, community cohesion, community safety, to education, children and young people, in the United Kingdom, sub-Saharan Africa, South and South-East Asia and Central America.